This station was a surprise on a difficult frequency, namely 800. A frequency dominated by MEC in Rio de Janeiro during cx towards La Plata and Brasil and TWR Bonaire during more northerly cx. This tends , at least for me, to mostly “skip over the frequency” when searching for something new. 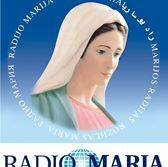 In early February 2011 I heard a station in Lemmenjoki heavily disturbed by TWR which turned out to be R Maria transmitting from Vina del Mar in Chile. Fortunately María carried an id also including the magical word “Chile”. During the time of reception I also heard, e.g., R Cooperativa, Valparaíso on 730 and BBN R, Vina del Mar (note, NOT Bogotá!) during a short and selective opening towards the middle coastal of Chile. I just recently got a short Facebook confirmation of this encounter with Radio Maria. Interestingly enough, Hannu Niilekselä managed to catch R María in El Salvador on 800 a couple of years ago. This shows that no frequency should be left non-scrutinized. Magic happens! Thanks Henrik Klemetz and Jari Ruohomäki for listening to my audio of this rare station from Chile. Radio Interamericana in Concepción was surprisingly heard by Pertti Äyräs and myself during our LEM274-pedition to Lemmenjoki on January 31, 2009, the maybe most successful pedition we have experienced since 1995. After several f/ups I received an e-mail from Roberto Lucero verifying my report.